This is by no means an exhaustive list of children’s books about Thanksgiving, but these are a few that I will be reading to my boys and the grandbabies during the next few days. These are all books that have a permanent home in our Heritage Library. While this list might be a bit late to help you find some good books for this year’s Thanksgiving celebration, you’ll have it to refer to for the next year as you look for books for your own Heritage Library. Welcome! 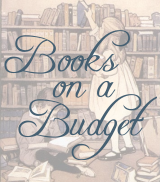 This blog is dedicated to homeschooling and building a family library frugally. Here you'll find book reviews, current sales on educational materials, links to free e-books, tips on purchasing high quality, "living books" and many other free and inexpensive home education resources. I hope you enjoy your visit!